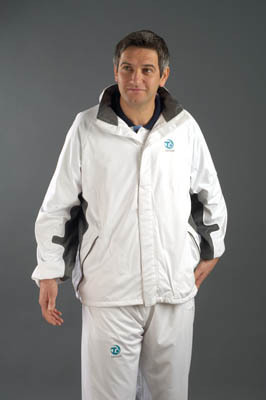 If you want to stay dry when everyone around you is getting wet then this is the jacket for you. Also a great jacket for keeping the wind out! This wet weather gear is engineered from a technologically advanced, breathable, lightweight, windproof material. Your mobility is not compromised while bowling in a Flex-Dri Jacket. Go Stylish ~ Go ACE!